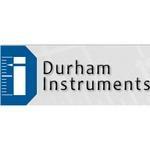 Durham Instruments is a distributor of high quality electronic instrumentation and data acquisition and control systems. Located in Pickering, Ontario, Durham Instruments serves the aerospace, industrial, research, manufacturing, and automotive fields. Established in 1977, Stuart Vandersluis is the President of Durham Instruments. Products Carried: Durham Instruments offers an extensive range of quality electronic instrumentation and data acquisition and control systems to customers in the research, industrial, manufacturing, and automotive fields. Located in Pickering, Ontario, the instrument specialists at Durham Instruments can help with: Accelerometers, Belt Misalignment, Calibration Services, Calibration Systems & Components, Data Acquisition, and more. Durham Instruments serves customers across Canada.